John McCrae. McGill ArchivesJohn McCrae was born in Guelph, Ontario, on January 28, 1872. He studied at the University of Toronto, graduating with a Bachelor of Arts degree in 1894 and a Bachelor of Medicine in 1898. After spending a year as resident at the Toronto General Hospital, he moved to Baltimore, where he studied with Osler. Following a stint in the South African (Boer) war, he returned to Montreal as resident pathologist at the Montreal General Hospital, at which he performed over 400 autopsies. He was subsequently appointed Associate in Medicine at the Royal Victoria Hospital and Pathologist at the Montreal Foundling and Baby Hospital. In addition to lecturing in pathology at McGill and the school of Medicine of the University of Vermont, he wrote many articles for the Montreal Medical Journal and the American Journal of Medical Science. Museum specimen card. Specimen donatated by Dr. John McCrae.A number of specimens, on which these articles were based, were donated to the McGill Museum. During World War I, McCrae served for three years with the No. 3 Canadian General Hospital (McGill), the first hospital unit raised by a university in the British Empire. During the second battle of Ypres, he wrote the poem “In Flanders Fields”, which was published in December 1915 and for which he is best known today. He died of pneumonia and meningitis at a British General Hospital in France on January 28, 1918. 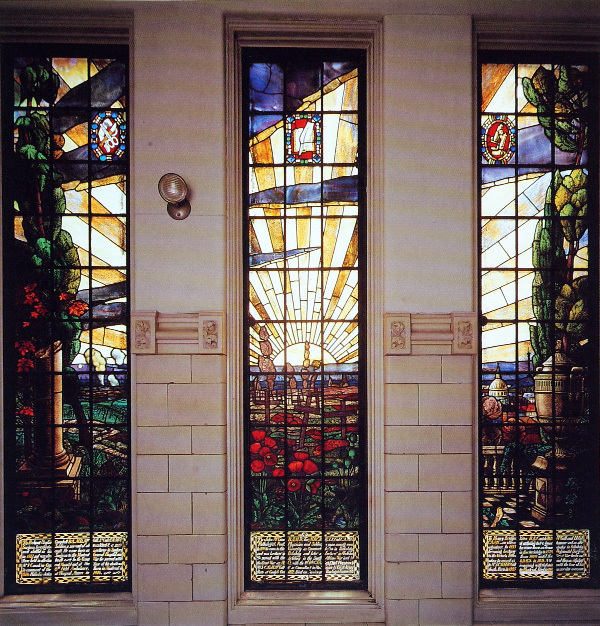 Stained glass memorial in the Strathcona Anatomy & Dentistry Building. Prescott JF. In Flanders Fields : the story of John McCrae. Erin, Ont. : Boston Mills Press; 1985.